Road width editing is complete and working. Technically what you edit is the degree of separation between the two roads. The hardware overlaps the two roads, creating the illusion of one wide road. Therefore, it's nice and easy to split and rejoin the road into two lanes. Following those exciting Excel spreadsheets and a little ranting, I'm pleased to say road path editing is implemented and working. Here's an initial screenshot showing the progress of LayOut, the OutRun level editor. This is just the first small stage; changing the path of the road. It's really easy to layout a complete track; you can produce something usable in under a minute. 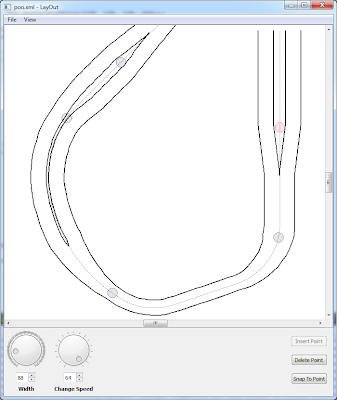 You define a series of control points and LayOut produces the curves and straights for you. Internally, the editor uses its own format and then exports to the format required by OutRun. 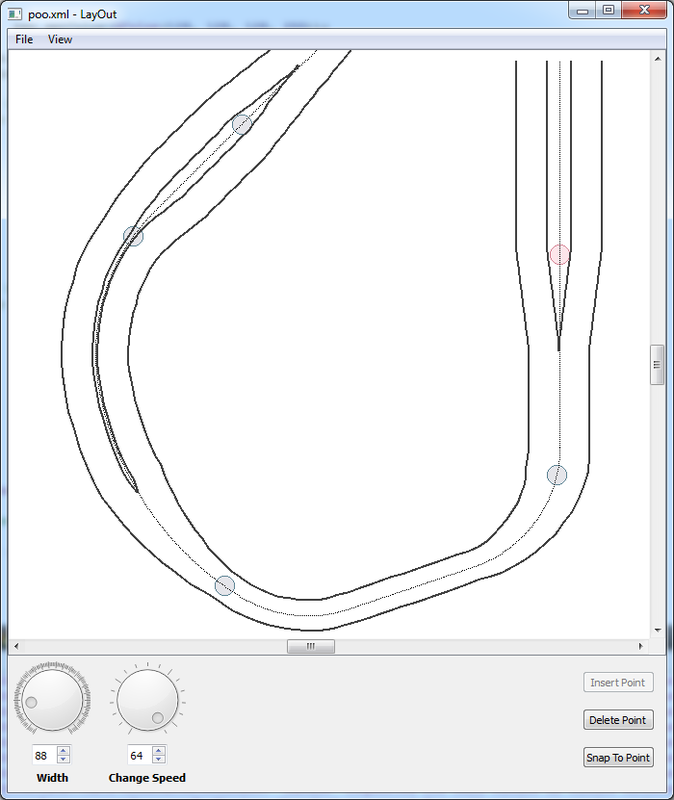 This makes it easier to manipulate the track than dealing with the raw data. 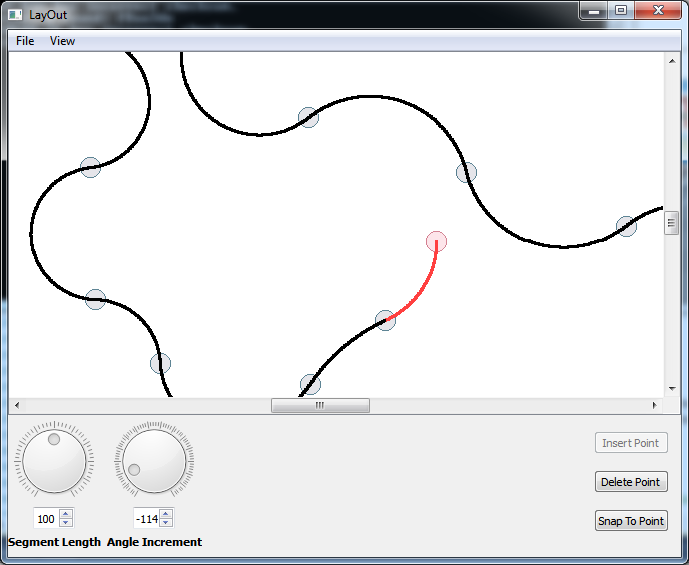 Cannonball will have a debug mode to render the output in conjunction with Layout, so you can use both tools together. For now, a lot of this is somewhat hard coded, but the concept is proven. For now, the road width and objects are still read from the original level data. This will obviously change as we add these options to LayOut. Here you can see we've inserted a curve at the start of Coconut Beach. Well done to Shawn LeBlanc for naming the editor. I was originally going to call it 'Last Wave', but this sounds more like a sound editing tool and if I ever get round to creating sound editing tools it might cause confusion. The next step will be to add the ability to define the road width, which encompasses single and dual road support. 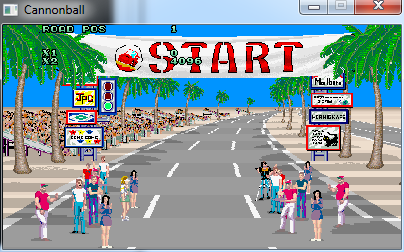 As you know, the focus over the next few months is a track editor for OutRun levels. This was always the plan once Cannonball became a reality; I first blogged about this long-term goal back in in 2009! Cannonball will of course continue, but there's a shift in focus as the next exciting instalment begins. It will mean fewer blog updates whilst I get the project off the ground, until I have something interesting to talk about. The editor will be a separate application from Cannonball. The editor will be developed in C++ and QT. This will support a solid cross-platform GUI. 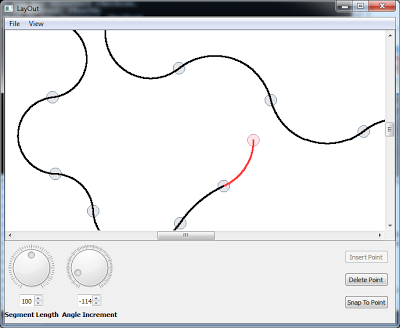 The editor will use Cannonball to preview the final level in some kind of debug mode. The editor will output to a format compatible with Cannonball, and the original OutRun hardware. So you could potentially play the best levels on original hardware. The following features will be supported: Road path/direction, road width, road height, scenery & track debris placement, road palettes. I've made a start, I'm learning QT and progress is steady. Maybe you have an idea for a feature or even the name of the editor. If so, comment below!